We all love having gorgeous nails – they look great, enhance our style, and make us feel confident about showing our hands to the world. Many people think that manicures are only for special occasions, like weddings or proms. However, going to the salon for regular spa manicures has some unexpected benefits. 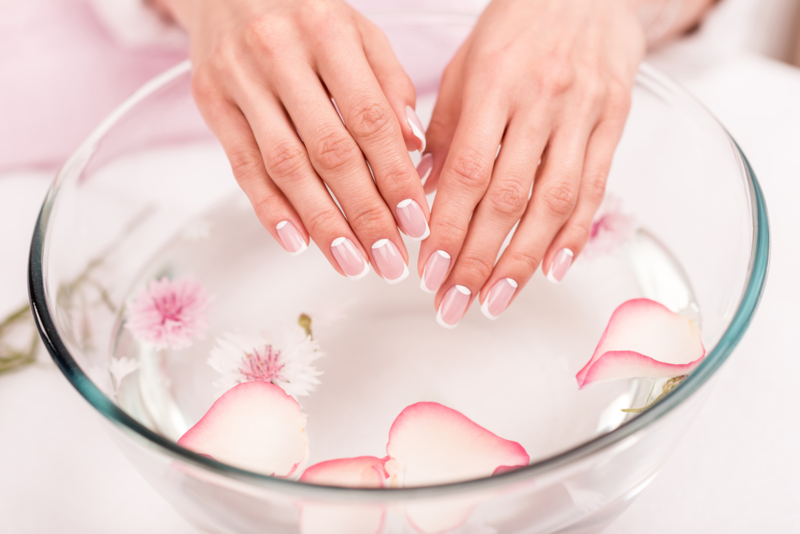 Spa manicures involve a lot more than polishing your nails. Other services can include a hand massage, exfoliation, cuticle treatments, buffing, and grooming, all of which are important elements of skincare for your hands, which are exposed to the environment every day. A massage helps stimulate circulation, which optimizes mobility and helps deliver vital oxygen to the cells in your hands. Your hands work hard for you every day, so optimal health is important. We hear a lot about exfoliation as it relates to facial skincare, but it’s important for the health of your skin everywhere, especially on your hands that spend so much time out in the elements. Exfoliation removes excess dirt and dead skin cells that washing alone cannot remove, clearing out your pores and stimulating the production of collagen, a protein that is important for healthy skin. The cuticles are an important part of your nails, acting as a barrier to protect the matrix where the nail grows from bacteria and infections. This makes them the core of strong, beautiful nails, and the cuticle treatments performed in professional manicures are important for their health. Buffing and grooming services keep your nails trimmed properly so there is less breakage – and no one wants to break a nail! In addition, your nail technician takes time to assess the overall health of your hands and address any issues before they become a problem. For example, fungus infections can take a couple of weeks before you notice them, but your professional nail technician can recognize the signs and take steps to prevent them right away. Finally, regular trips to the nail salon gives you that rare opportunity to take time for yourself, away from the stress and hurry of the day. You get that extra pampering treatment and leave the salon feeling relaxed, with beautiful nails to show for it! If you’re due for a professional manicure, make an appointment today at Utopia Salon & Day Spa. Our professional nail technicians offer a variety of spa manicures, including our signature hot stone manicure or spa manicures. You can find us at 510 North East Avenue in Vineland, New Jersey or call 856-794-9200 to schedule an appointment. Alternately, you can instantly schedule your own appointment on our Utopia Salon & Spa mobile app, available for a free download on the iTunes Store, Google Play, or Amazon.